Satellite TV alone doesn’t always deliver local TV programming. I learned this lesson the hard way! Many years ago, I needed to be in two places at once. The annual Catfish Jamboree was happening on the other side of the state while my girlfriend’s little brother was going to be featured on our local TV news program. I was going fishing, there was no two ways about that, but I wanted my girlfriend to come with me. She wanted to stay home to see her brother on TV. To solve this dilemma and get my way, I came up with a brilliant solution – I rented an RV with satellite TV. The day of the Catfish Jamboree, I parked the RV alongside the river then got my lines into the water. I then set in to play the wait-until-the-fish-decide-to-bite game. I got my first hit sometime around 10PM. It was a particularly large flathead catfish and it fought like a tiger caught by the tail. From that point on, it seemed like I was flipping feisty flatheads with a fevered fervor. I almost could feel that Master Angler badge being pinned to my chest. Then, something happened that brought my hot streak to an abrupt and icy end. My girlfriend tore out of the RV wearing a tear-stained face. She was unable to find the news program that featured her brother, aka Little Lord Fauntleroy, and his scholastic achievements. “How hard is it to find a TV channel?” I shouted. Then I stormed inside the RV and snatched up the remote control. After 20 minutes or more of furious guide surfing, I couldn’t find the channel she wanted or any other local programming. “Take me home,” my girlfriend said. I released my treasure trove of flathead catfish back into the river then packed up the RV. On the way home, we streamed a wonderful program called “A Tedious Recital of Jacob Phineas Buckler’s Shortcomings, Faults, and Character Defects.” It was hosted by my girlfriend, of course, and she was backed up by a live audience – her family – who were able to phone into the program from home. 1. Once I was outside my local area, satellite TV wouldn’t pick up my local channels. 2. Had I told him I needed to see the local news at the river, he would’ve gladly paired me with one of his other models that also sported an antenna. Are you considering satellite TV for RVs and campers? Let my fishing trip serve as a cautionary tale. Satellite TV offers an amazing variety of programming available from more than 100 channels. It does not always receive local TV stations, however. 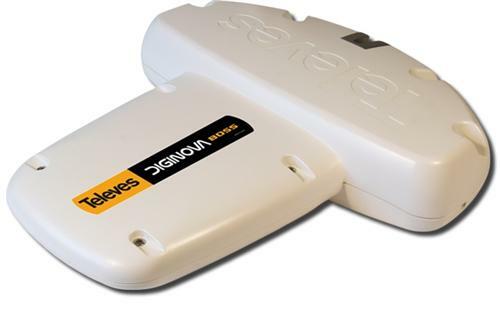 These can be accessed by adding a TV antenna to your satellite package. The combination of antenna and satellite together means you get ALL your favorite news, sports, weather and entertainment. Take it from me, it’s a very worthwhile investment! In the end, the trip wasn’t a total waste. Even though it was cut short, I still had fun hauling in more than a few flathead catfish. As to my erstwhile girlfriend, let’s just say that she’s where she belongs – in the rear-view mirror of my life.